MEPs reached an agreement with national governments and the European Commission on Tuesday (30 May) to revive the continent’s securitisation market, paving the way towards the creation of a Capital Markets Union. “It will help build a sound and safe securitisation market in the EU, bringing real benefits to investment, jobs and growth,” European Commission Vice-President Responsible for the CMU, Valdis Dombrovskis, said, adding that the deal will free up bank lending so that more financing can go towards supporting our companies and households. The deal is seen as one of the cornerstones of the Capital Markets Union (CMU), the Juncker Commission’s pivotal project to build a single market for capital in the EU by the end of 2019. A swift implementation of the securitisation package could unlock up to €150 billion of additional funding to the real economy, particularly for SMEs and startups. Securitisation is a process where assets, such as mortgages, auto loans or consumer credit, are packaged together and sold on to investors as bonds. The process, which acts as a form of funding for banks and other lenders across the economy, will help to reduce the regulatory burden that has hampered the industry since the financial crisis, in which the securitisation of sub-prime US mortgages played a major role. This is the second agreement within the span of a few hours contributing to the development of an EU Capital Markets Union which has been reached by the Maltese Presidency with its partners in the European Parliament. The agreement comes after a series of difficult negotiations over the past few months. The proposals passed through seven individual “trilogues” — in which the European Council negotiates with the parliament, in this case led by the Dutch PvdA lawmaker Paul Tang (S&D). 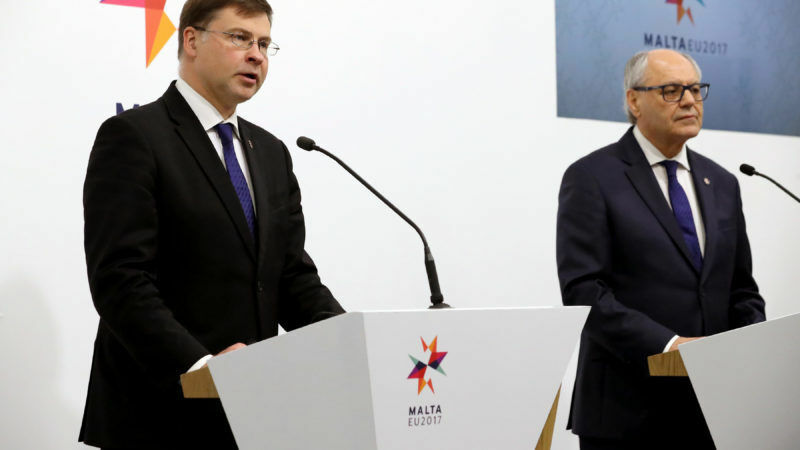 “This initiative will encourage financial market integration in Europe and make it easier to lend to households and businesses,” said Malta’s Minister for Finance, Edward Scicluna. Massive day in developing #EU #CapitalMarketsUnion to benefit citizens & entrepreneurs – 2 deals between @EU2017MT & EP in just a few hours! Combined with the agreement on easing investment in EU businesses, the deal on securitisation fulfils the Maltese Presidency of the EU’s promise to significantly contribute to the development of the Capital Markets Union. The Association for Financial Markets in Europe (AFME) welcomed the deal, calling it a “crucial milestone in the development of a Capital Markets Union”. The agreement will now be submitted for confirmation by both the Council of the EU and the European Parliament.